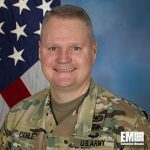 Col. Greg Coile, project manager for tactical networks PEO C3T at the U.S. Army, told C4ISRNET in an interview published Wednesday about the possible impact of not having a resilient communications network on troops operating in a contested environment. “If you had a platoon or a company that was geographically dispersed, you could lose their ability to communicate higher, lose their situational awareness, lose the ability to call for fires and to get support,” he explained. “Cyber obviously provides you with a lot of things that we know can interact to the network,” he added. Coile cited the efforts of industry partners to reduce the size, power consumption and weight of the service’s communication kits and how the Army considers mobility and deployability when it comes to design choices. 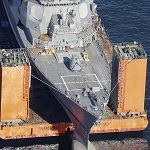 He discussed some of the things he expects to materialize in the next year and one of those is for the signal battalions to get additional upgrades such as having new tropo and line-of-sight radios. “The other thing I really look forward to in the next 12 months is as the PEO C3T and Network [Cross-Functional Team] are kind of locking arms and going side-by-side through this process where we can make hard decisions on design, we can make trades, we can get, fast, realistic feedback on kit, make decisions early in that process,” he added.